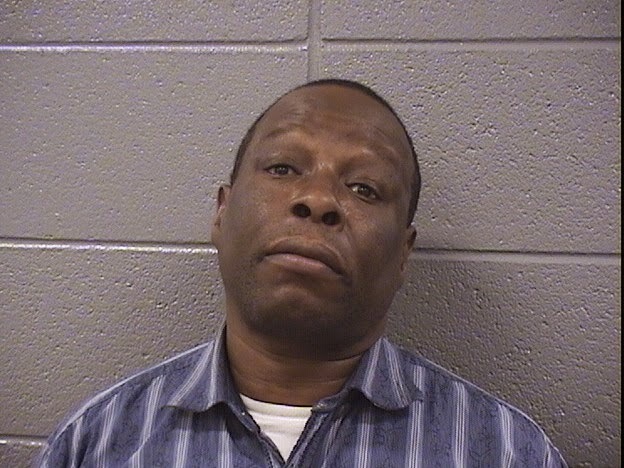 Chicago police have arrested a prolific CTA pickpocket suspect who is believed to be responsible for a number of thefts from commuters since he got paroled last summer. A CTA canine patrol officer at the Garfield Red Line station early Sunday recognized Matthew Green as being wanted for allegedly stealing a man's wallet on a CTA train by cutting the victim's pocket with a razor knife. Green, apparently realizing that he had been identified, fled onto the Red Line tracks, forcing the CTA to shut down power and service in the area, police said. The security guard quickly caught up with the 58-year-old paroled thief and held him for police. • Pickpocketing an Eastern University student at the Wilson Red Line station on April 5. • Pickpocketing a man on a Blue Line train near the Kedzie-Homan stop April 4. • Stealing a Samsung Note 4 and a wallet from an Illinois Institute of Technology student at the Chinatown stop on March 28. CTA images of a pickpocket in action on the Red Line in January. The CTA issued an alert on January 24 to warn commuters of Red Line pickpocketing incidents. In that case, a pickpocket who boarded at the Wilson stop stole a woman's wallet as she prepared to exit a train at Chicago Avenue. Green has not been charged in that case. However, CWB can now reveal that Green is the same man who police arrested in connection with a pickpocket incident at the Belmont station in November. As CWB reported then, police had to release him because the victim refused to press charges. Green also made news for pickpocketing on the CTA in 2012.